This map displays territory of Brazil. city Petrolina marked. You can find here city Salgueiro free download. Displayed town Cabrobo presented. 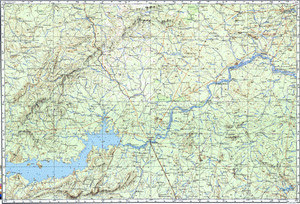 On this map town Santa Maria da Boa Vista marked. town Curaca free download. Displayed town Uaua for Garmin. You can find here town Parnamirim for Garmin. Vermelhos for Garmin. On this map Vereda Comprida marked. Veneza download for free. You can find here Varginha for Garmin. Displayed Varginha download for free. On this map Valverde download for free. You can find here Umbuzeiro de Baixo marked. You can find here Trairas download for free. Tombador presented. Tigre free download.